Animated videos are the new craze in the marketing world. And why not? They have proved their worth time and again, and so, it is no surprise that a huge chunk of viral posts online is animated videos. Animated videos are trendy, fun to watch, easy to understand and overall share-worthy. Animation specialists put their technical skills into creating an output that conveys a message with an emotional tone – be it funny, sad or simply informative. This mixture of art and technology works just right for the audience and has led to a complete acceptance of animated videos, making them a marketing rage. 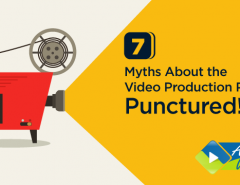 This is why animated videos are widely used for product demos today and have definitely come as a relief for businesses that manufacture products with complex features. Customer comprehension is just a few minutes of video watching away. However, your animated videos will only achieve the above wonders if they are designed professionally and get the aesthetics right. 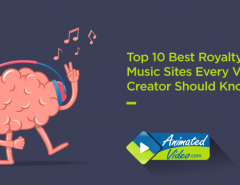 Many factors separate shabbily made animated videos that are overflooding social media today from the ones that exhibit high quality standards- the ones that make a real difference and generate leads. We bring you the guidelines on how to create a product demo animated video for your business. 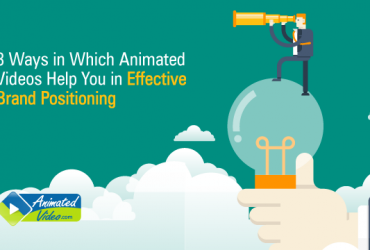 The script is the main ingredient that you need for preparing your animated video. You need to be involved entirely at this point because nobody else will know your product the way you do. The script should be precise, catchy and very informative. It should cover all the major points like product features and uses, capacity, durability, the technology used, compatibility with other products, safety and price. These features can be spoken of in the video, or they can simply appear in a text format or an infographic running through the video. It all depends on how much explanation or “breaking down” the features require. In any case, refrain from making it jargon-heavy as that is counterintuitive to the purpose of the demo video. The product should be introduced and explained in layman’s terms. This is not underestimating the audience’s understanding capability but being sensitive to those who aren’t technically as gifted as others. If jargons are required, try to pick one that is more likely to be understood by the general public easily. Here’s the memo – if you don’t tell your viewers what to do exactly upon watching the video, chances are they won’t do it. Do not make the mistake of hinting or expecting viewers to understand your motive behind the whole effort. Tell them in a clear-cut way what your expectations are. Inform them about the places they can avail the product from or ask them to subscribe to your channel. Encourage them to use that offer code on certain purchases. It is very easy to be carried away while watching a nice animated video and lose the whole purpose of it. There should be multiple reminders of your motive along with proper guidance on how to get there. If your product is stocked in a particular chain of stores- mention it; any websites that sell it online should be acknowledged in the video. This exercise plays with your consumers’ psyche, increasing their chances of acting on the advice. For example, social media posts that include the hashtag “#share” get shared more than those that don’t. As obvious as it seems, simply looking at the word and listening to it triggers an automatic response in our brain and influences desired action. The reason we select animated videos over other mediums is that they are wildly entertaining- more than any article or image can be. Animated videos use storytelling to engage viewers. This increases chances of recall as we are hardwired (ever since early childhood cartoon days) to remember something better if served in a story format. No wonder we can recall, scene by scene, the plot from our favorite movie or book. In terms of business, it is called brand storytelling. Your product demo video should incorporate elements of that by introducing an optional character or creating a fictional situation in which the product is used. For example, a tyre manufacturer can create a short pitch about a family picnic getting ruined due to a tyre puncture, and how their product has come to the rescue. Considerable time should be spent on the look and feel of the video. This means giving attention to colors, fonts, characters, graphics, effects and voice modulation. The quality of the video reflects the quality of the product it is showcasing. Here, you have the opportunity to imprint the characteristics of your business and your company ideals on the video demo. 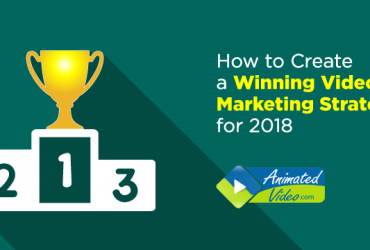 By aligning the aesthetics of the video with the nature of your business and target customer, you can make the animated video unique; something that truly represents you. All these tips are meaningless if a team of professionals does not execute them. 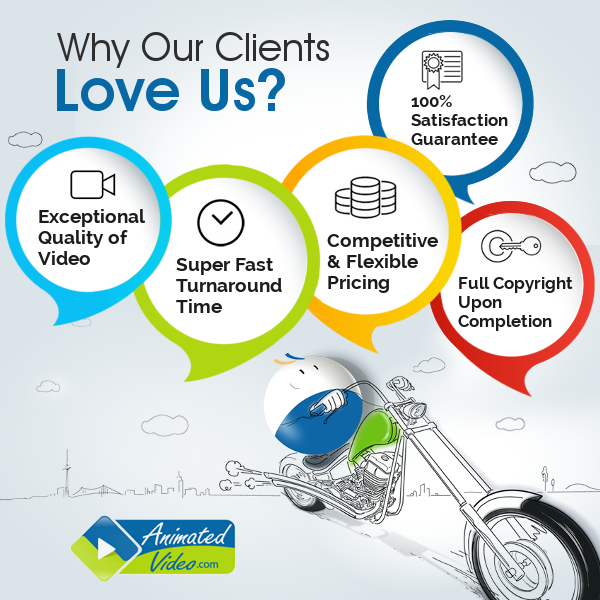 You must consult a reliable design agency like animatedvideo.com that is known for its expertise in creating technically-sound animated product demo videos. Over the years, we have designed over 2000 videos for over 1000 clients worldwide and can help you customize your video as per your specific needs to create the maximum impact. Experts are always needed to develop interesting product pitches and scripts besides just selecting the most suitable graphic styles and voice-over. This is another step that you need to take to create the perfect product demo animated video for your brand. Once you have gone through each of these processes successfully and shared your video with the online world, it is just a matter of time when your video will hit the right spot with the ‘viral’ statistics. It is time to bring your products to life! Animated videos can pump life into your product! With a clear script, a convincing pitch, a hint of entertainment and aesthetic design sensibilities, you can get your audiences hooked on to your brand for minutes. Get expert assistance and transform your dull videos into ‘irresistible to watch’ masterpieces because animation can never go out of style!